Annie & Izzie have once again teamed up with Professor David Musial to make their 5th song since July this year. Their creativity comes from their wonderful daddy Craig Johnson who suddenly went to heaven this summer at just 51 years young! The inspiration began at their daddy's funeral, where David found out that their daddy was not just a Math genius, but also a musician who played the guitar & trumpet. That led David to immediately team up with mom Jennifer Bhathena to work with these Angels and start writing happy children's songs. The "We love Christmas Trees" song was composed in just one hour during the first week of Christmas break at SkyRoom Studio... on the very floor where the girls were born! (SkyRoomStudios.com) It was recorded in the second week along with Eric & John Rosado (12) providing wonderful background vocals. Eric and John are in David’s new Children’s Christmas Choir Concert on 12/24/16 at 7 PM in Saint Mary’s Church in Jersey City. Following the composition... the music video was shot between 12/10 & 12/22/16. Annie is terrific at rhyming and Izzie loves to just “blurt out” little “hooks”! The song will be on the “MusicTech Kids Volume 3" Album to be released in January. The Music Video is also on YouTube now! The song is dedicated to the loving memory of their daddy Craig Johnson! The girls smile from ear-to-ear when they walk into a MusicTech Kids™ session at SkyRoom Studios…the healing power of music is simply amazing… look at their smiles in this music video. The single will be out on Christmas Day on BandCamp, CD Baby and iTunes real soon too!! 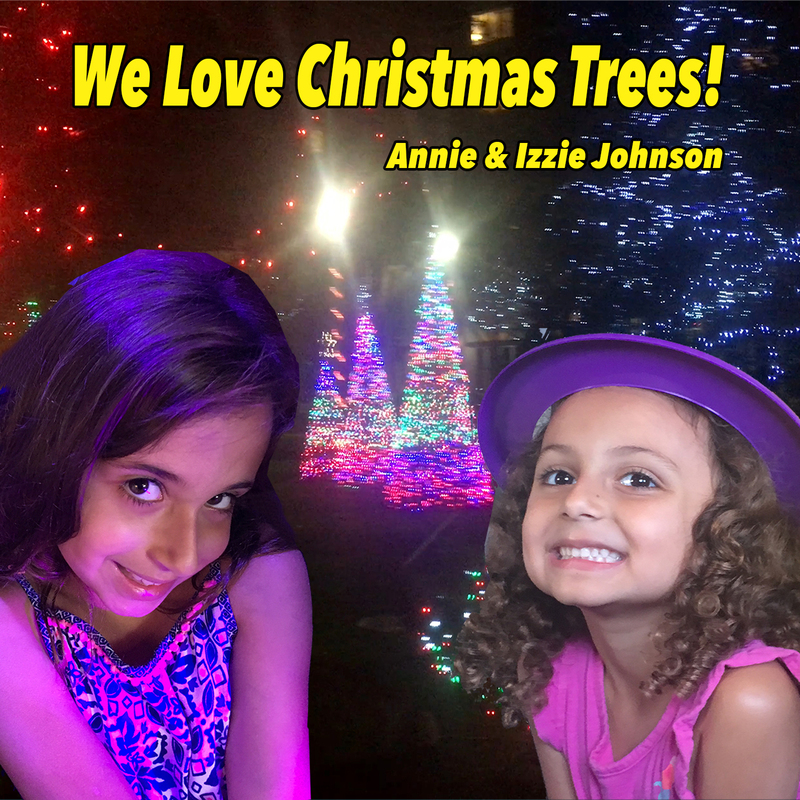 Two years ago at just 2 & 6 years old, the amazing sister team of “Annie & Izzie Johnson” (Annette & Elizabeth) participated in the making of a music video called “Snowflake 1 2 3”, by Carol Lester the “Bubble Queen™” from Jersey City. (BubbleQueenMusic.com) Prof. David Musial of Jersey City who lives in the same building on the same floor as these little musical angels, has known them since birth and started to teach them “MusicTech Lessons”. (Musial is an award-winning professor of Music Technology and is also an accolated producer of Music & Videos, and he has over 40 years of experience directing music in churches see ProfessorMusial.com and DaverSongs.com for details.) The girls met the amazing “Bubble Queen” (Carol Lester, the previous Vice President of the Jersey City Board of Education, and artist who records at SkyRoom Studio) when she invited them to be part of a music video spontaneously one snowy afternoon, to perfectly capture the scene of snowflakes and pine trees on the snow-covered roof-top terrace of SkyRoom Studios! That began their new adventure together... after which Carol invited them to become “Royal Bubble Pops” and have performed on stage for many shows in Jersey City and Hoboken... including the Hoboken Music & Art Festival. Recently they joined by Canadian Pop Star Brady Cudmore (BradyLive.com) (and soon Jersey City Broadway Star N’Kenge), in the singing of a new theme song for a children’s book series called “NOKO THE NIGHT” (NokoTheNight.com) by Eleni Theadorou. It may someday become a cartoon! Two weeks before Halloween they walked into David's SkyRoom studio and saw some photos of Turkeys, Pilgrims & the Mayflower on the screens. Annie said she learned about the Mayflower in school that day and Izze said “Turkeys, Gobble, Gobble, Gobble!” This gave birth to the song “It Is A Turkey Day”. David shot source footage in the booth and at the Macy’s Thanksgiving Day Parade, so look-out for a release of that beautiful song in 2017!